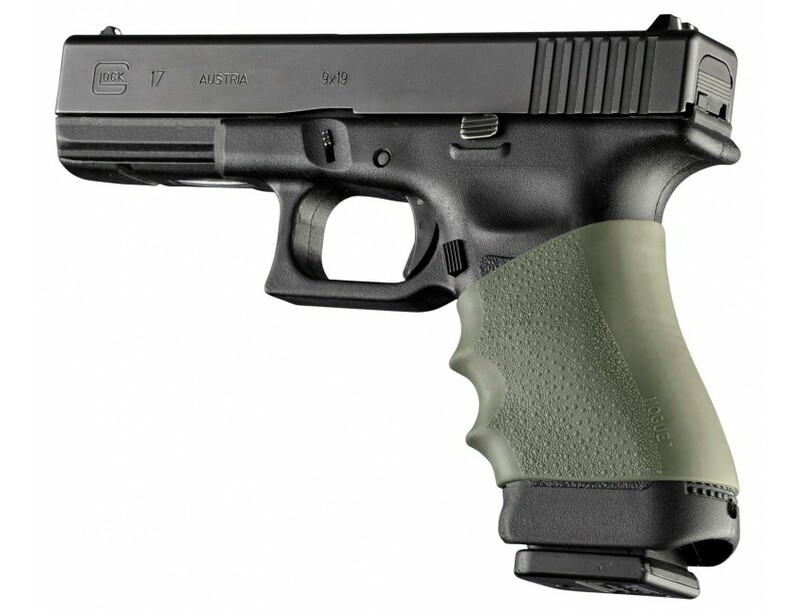 The HandAll Grip Sleeve are scientifically designed and patented with a unique shape that hugs the contours of your firearm giving them the tightest and most secure fit possible. Features include: proportioned finger grooves, cobblestone texture, ambidextrous palm swells. HandAll grip sleeves are easily installed and provide years of dependable service.This Full Size sleeve has a OD Green finish and is compatible with the following: Beretta Px4 Storm; Browning Buckmark, Challenger II, BDA; FN FiveSeven, FNP9/40/45; Glock 17-25; HK 45/Tactical/Compact, Mark 23, P2000, USP, VP 70-Z, Kel-Tec PLR16/22/30, Sub-2000; MRI Baby Desert Eagle II; Ruger P85/89/90/91/93/94/95/97/345; S&W M&P 45, Sigma 9/40, SD9/40 SD 9/40 VE; Sig P220/225/226/227, MK25, Mosquito; Taurus 24/7, 809, 840, 845, PT945; Walther P38, P88, P1.Note: This model is not compatible for use with firearms with grip safeties such as Colt 45-style pistols or Para Ordnance frames.